May 25, 2011 | by Chuck Kurtz – THE SUN NEWSPAPER – For Sumya Anani, a four-time world champion boxer, trainer, and now owner of an aerial studio, everyone’s a butterfly. 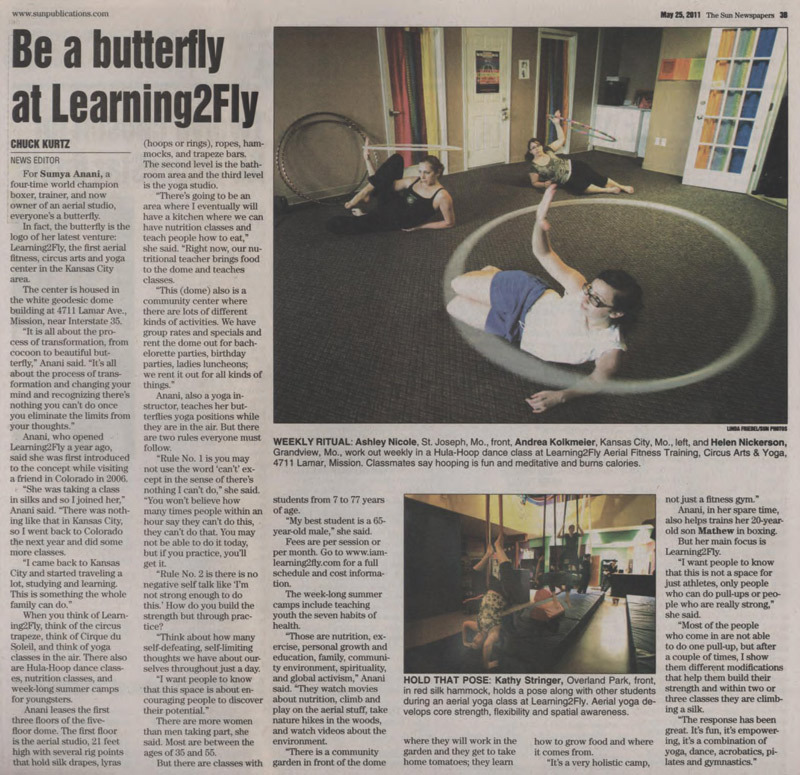 In fact, the butterfly is the logo of her latest venture: Learning2Fly, the first aerial fitness, circus arts and yoga center in the Kansas City area. I-35 & Lamar; across from the QuikTrip.